Dream-Maidens Game Development Blog: Hello Everyone! Hey guys! In celebration of our 3rd year anniversary online with Dream-Maidens.com, we decided to upgrade the site, adding more than the normal. Its not completely finished yet, but in due time (like 2 weeks or so) it will be finished. 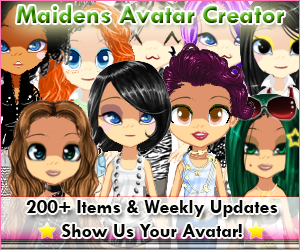 Yes, avatars! Yes, shops! Yes, videos! Yes Blog! Also, if you haven't already, be sure to sign up to our site using Google Friend Connect. It takes no more than 10 seconds! We have a newsletter going out as well, so be sure to subscribe. See you soon and have a Happy Thanksgiving! We are making Futomaki Sushi.